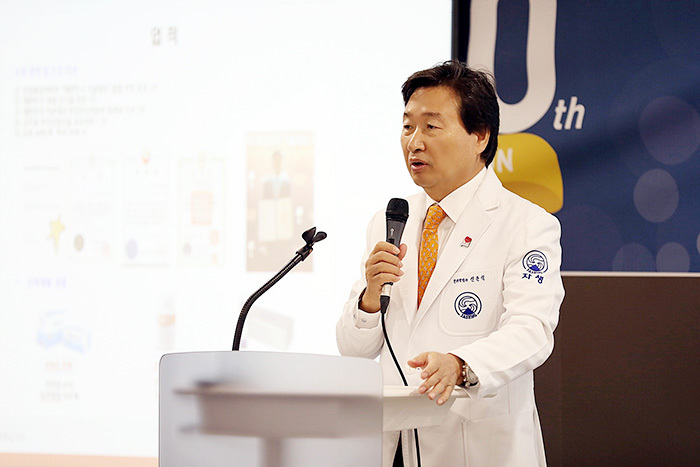 On December 2nd, 2018, Jaseng Medical Foundation celebrated its 100th Integrative Medicine Grand Rounds series for standardized, continuing medical education of Korean Medicine doctors employed at the 21 Jaseng branches situated in Korea. Jaseng’s Integrative Medicine Grand Rounds are conducted on a monthly basis to the aim of quality control and improvement in provision of healthcare services by improving the quality of medical care through continuing education and training of its medical personnel, and standardizing its Korean Medicine treatment services. Over 200 physicians attended the day-long event held in Seoul, South Korea, which included lectures followed by role-playing of several patient case scenarios. With the theme of ‘Custom-Designed Treatment,’ 3 speakers lectured on topics pertinent to the importance of individualized diagnosis and treatment plans. ‘Custom-Designed Treatment’ is a patient-oriented medical treatment strategy that designs the direction and composition of noninvasive treatment regimens based on the patient’s individual medical history and examination results. In addition, Honorary Chairman Dr. Joon-Shik Shin supervised the Jaseng medical staff in leading role-playing sessions, hands-on acupuncture sessions, and discussions addressing both the strengths and limitations of existing therapies. Through such collective efforts and exchange of opinions on the results of treatment over the course of 100 monthly sessions and applying the acquired knowledge in clinical practice, Jaseng Hospital of Korean Medicine prides itself in its ability to provide patients with standardized treatment and healthcare services. Meanwhile, Chuna Manual Therapy, created by Dr. Shin, is anticipated to be covered by the Korean National Health Insurance (NHI) as of March 2019. Once health insurance coverage of Chuna is implemented in March 2019, patients will be able to receive standardized Chuna treatment with health insurance benefits at any of the 21 Jaseng branches located in South Korea.